Over five years ago, Katye began her real estate journey in College Station, Texas. She expanded her business to Dallas in 2017, after finding a perfect fit with the Robert Elliott and The Associates team. She has since done business in most areas of the DFW Metroplex, spanning from Sagniaw, Southlake, Dallas, East Dallas, Frisco and everything in between. 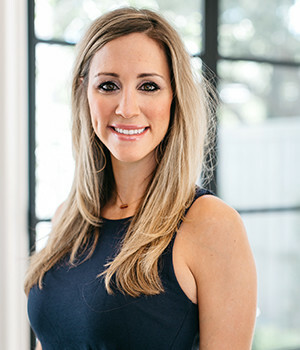 Before becoming a Realtor®, Katye graduated with High Honors from The University of Texas McCombs School of Business where she cultivated her love for business, real estate, and design as well as where she learned critical skills in finance and sales. In deciding a career path, her passion for helping others along with the fast-paced, ever-evolving environment kept drawing her to real estate. Katye has experience in many areas of real estate: luxury living, farm and ranch, new construction homes, new construction condominiums, single family resale homes, condominium resale, investment properties, and leases. In the fall of 2017, Katye teamed up with Stillwater Capital to sell the 36 unit Greenwood Flats new construction condominium project in the historic Dallas M-Streets area in which she saw 90% of the units contract-to-close, totaling sales close to $12 million. The project sold out by the end of 2018 and is one of Katye’s greatest real estate accomplishments to date. When it comes to a major life event like buying and selling real estate, you want someone you can trust, someone who will work hard, someone with experience, and someone who cares. These are the qualities you can expect when doing business with Katye and is the foundation she has built her business on. When she’s not working with her clients, Katye’s passions are her family, her faith, songwriting, making music and enjoying the outdoors. If you’re looking for a realtor who will give you exceptional service no matter your budget, circumstance, or background, Katye is exactly who you are looking for.